Hope Pearson, a lifelong resident of the Lehigh Valley, is the Vice President of Retail Banking for Fleetwood Bank. In her role she is responsible for the planning and implementation all retail banking initiatives, sales and product management, pricing strategies, and distribution of consumer banking solutions across retail channels. Ms. Pearson(or Hope?) is charged with leading the transformation of the Bank’s retail banking offices and the universal banker program. Prior to her role at Fleetwood Bank, Ms. Pearson (or Hope?) held leadership positions at Community First Fund, New Tripoli Bank, and Sovereign Bank. Pearson is a 2016 graduate of the ABA Stonier Graduate School of Banking where she also received the Wharton Leadership Certificate and is a graduate of Liberty High School, Bethlehem. As a community banker, Hope understands the importance of giving back. She has served on various non-profit boards and community related committees. 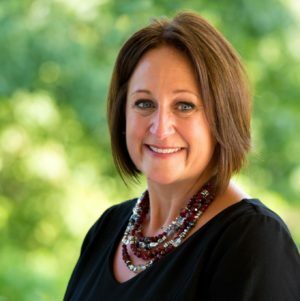 She currently serves on the Board of Directors for Northeast Berks Chamber of Commerce and is a member of the leadership committee for the American Heart Association’s 2018 Go Red for Women Event. Previously, she served on the Board of Directors for Greater Lehigh Valley Chamber of Commerce Women’s Business Council and was co-chair for the American Heart Association’s 2017 Go Red for Women event.